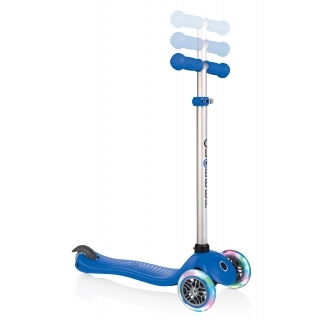 Globber EVO 4in1 LIGHTS light-up scooter for kids - scooter with light-up wheels, scooter with seat, height adjustable scooter. 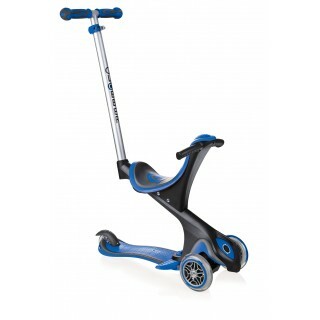 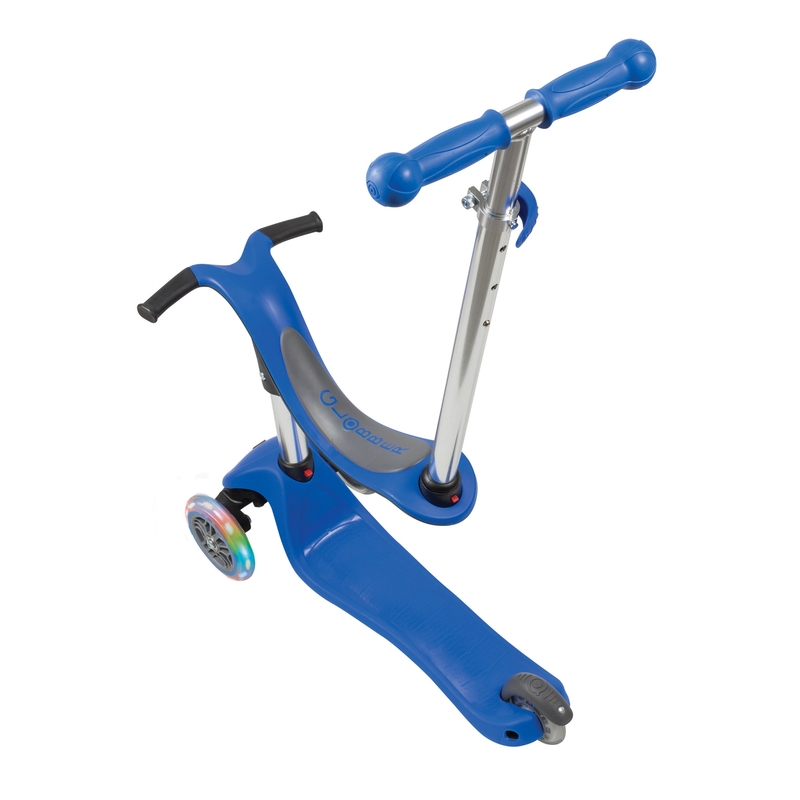 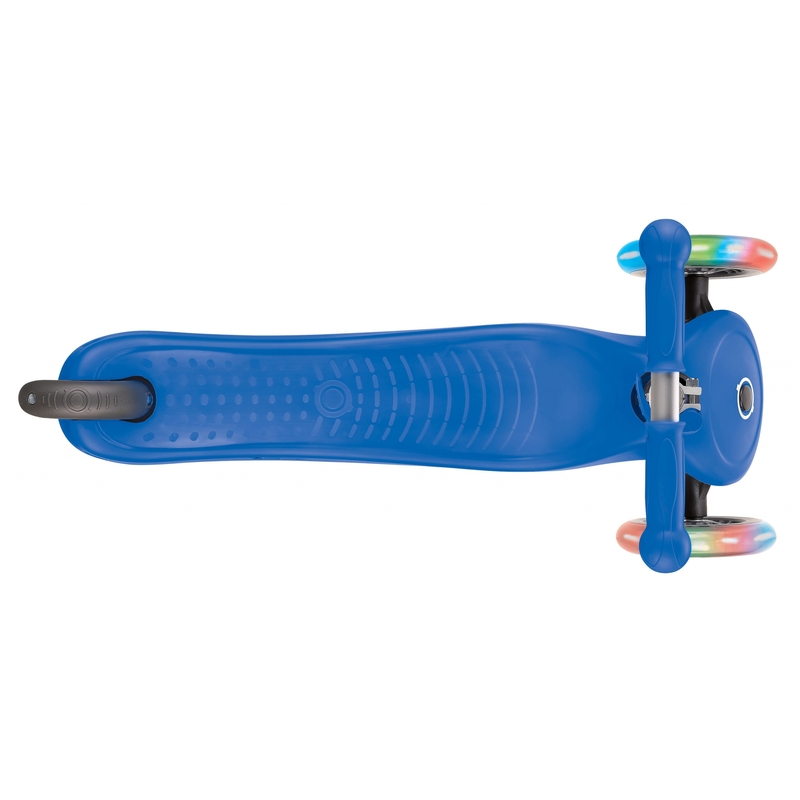 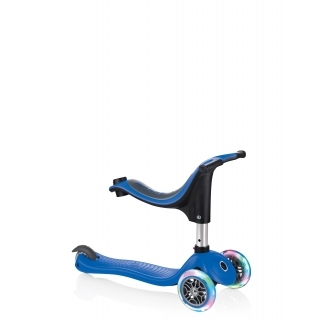 · All-in-one product: Pushchair, walking bike, scooter for kids. 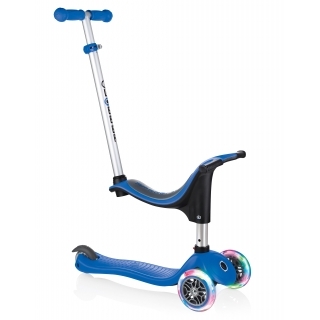 · Light-up scooter with battery-free LED front wheels flash in red, green & blue. 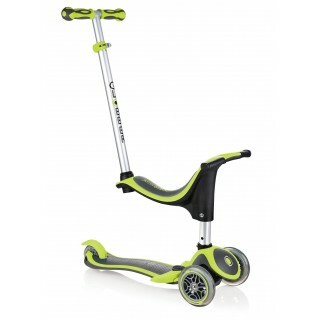 · 2-height adjustable seat & 3-height adjustable scooter. 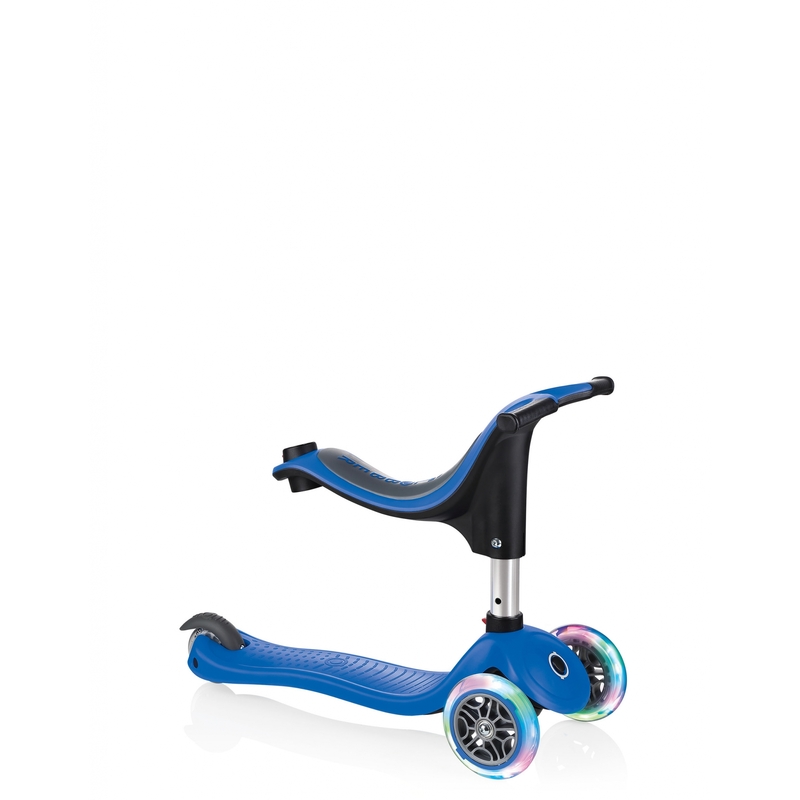 Pushchair, walking bike, scooter with footrest. 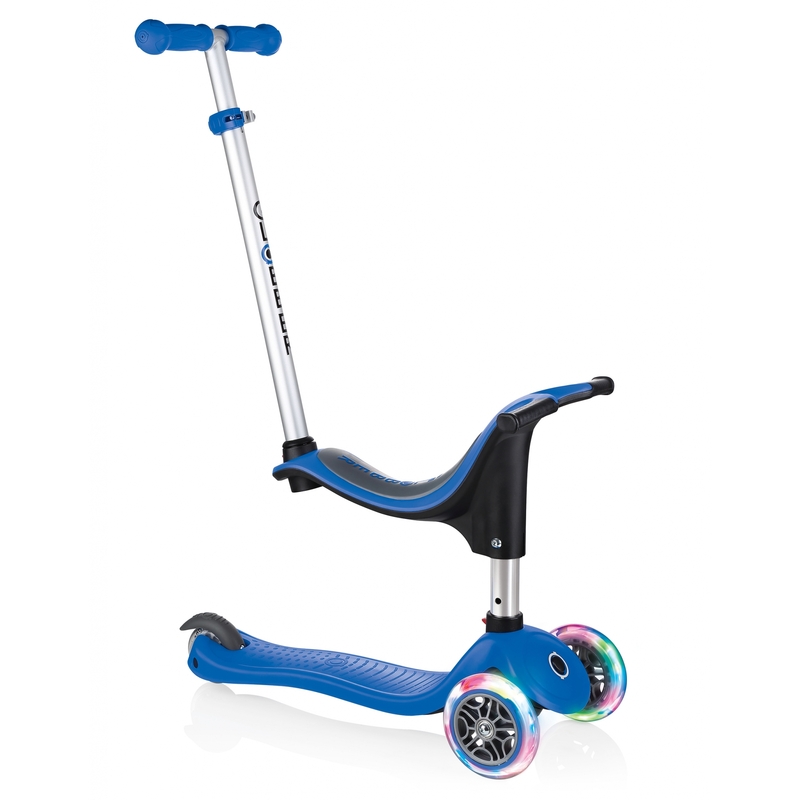 Scooter with extra-wide, adjustable seat.